Most manufacturers and tier 1 & 2 suppliers are equipped with standard tools and acoustic source identification methods like acoustic cameras for acoustic diagnosis. 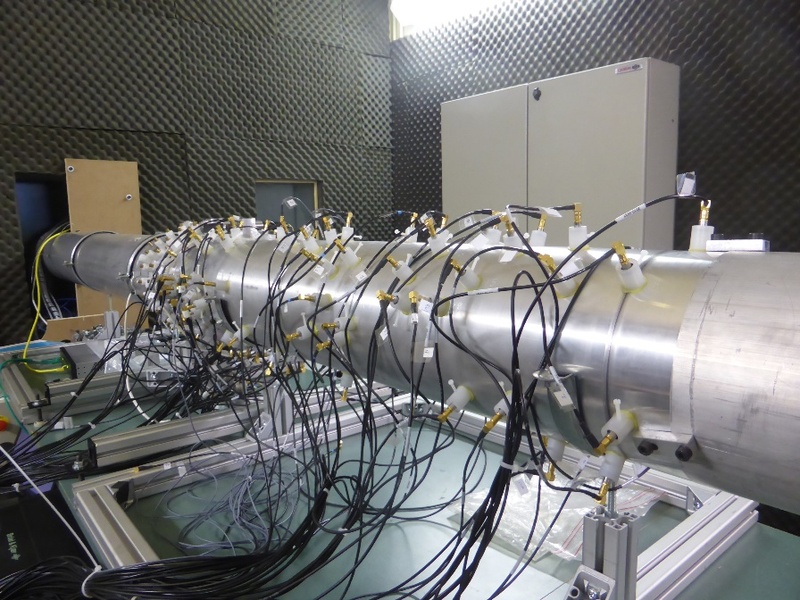 Manufacturers primarily use them on engine test benches for acoustic qualification and optimization of internal noise, particularly for the characterization of acoustic transparency, leaks, wind tunnel tests for indoor noise comfort or the propagation of noise source contributions. OEMs use work bench tests and mainly use tools during diagnostic phases. MicrodB works with manufacturers and equipment suppliers in deciding the choice of technology in the development phase of new processes. Standards are becoming more stringent, as sources evolve with technologies. Vehicle development is very short and the stakes are still high in this area to move beyond current performances in terms of implementation, ergonomics, results and integration in the development process. For these reasons, MicrodB continues its R&D in this field both through client projects and its own R&D. External noise control is a key issue in aviation research for both aircraft and engine manufacturers. 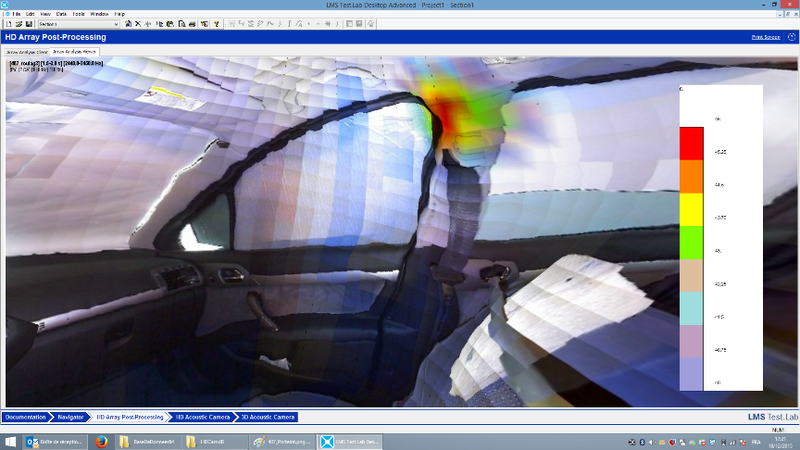 MicrodB has developed a tool for analyzing the aircraft flyby noise with Airbus. MicrodB was a partner in a project with SNECMA supported by the upstream FRAE for aircraft engine noise analysis taking into account the complex environment of turbomachinery. 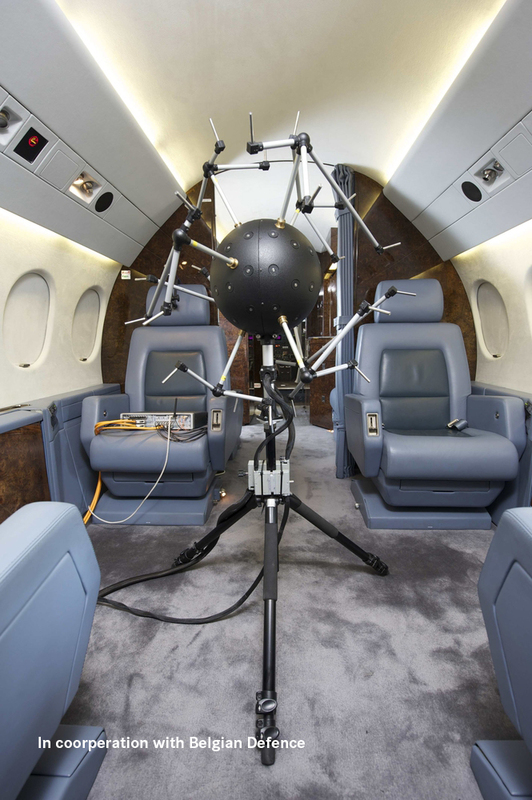 Regarding interior noise, MicrodB can offer quick equipment set-up for in-flight measurements to identify extraneous noise, map its sources or understand their contributions. Any mechanical vibration generates noise sources. However, acoustics is not always the first criterion addressed in the design phase and often, problems must be treated urgently at the end of project. MicrodB’s tools and experience can help clients with necessary acoustic measurements and diagnosis to not only meet the project requirements, but also to design a control solution should the project limits be exceed. 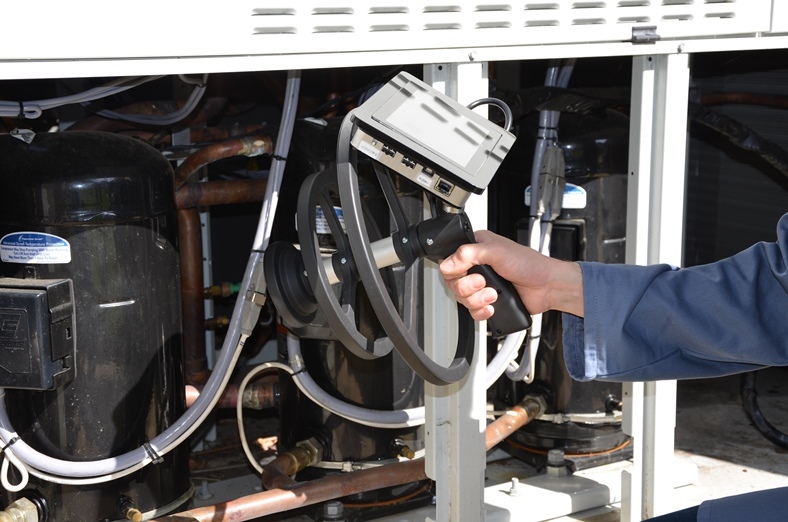 MicrodB offers HVAC manufacturers an experimental technique to identify noise sources. The NoiseScanner tool is suitable for rapid on-site diagnoses and meets the non-specialists’ needs to identify sound sources. Military for acoustic discretion: noise perceived by sonar transducers (self noise) must be controlled. If self noise is higher than the ambient noise, it imposes a limitation on the performance of the onboard sound detection hardware. Conversely, in passive sonar, the detection of noise radiated by any potential target requires the extraction of the ambient noise. Civil: The MSFD (Marine Strategy Framework Directive), adopted by the EU in 2008, requires member states to take appropriate measures to ensure good environmental status of marine areas. 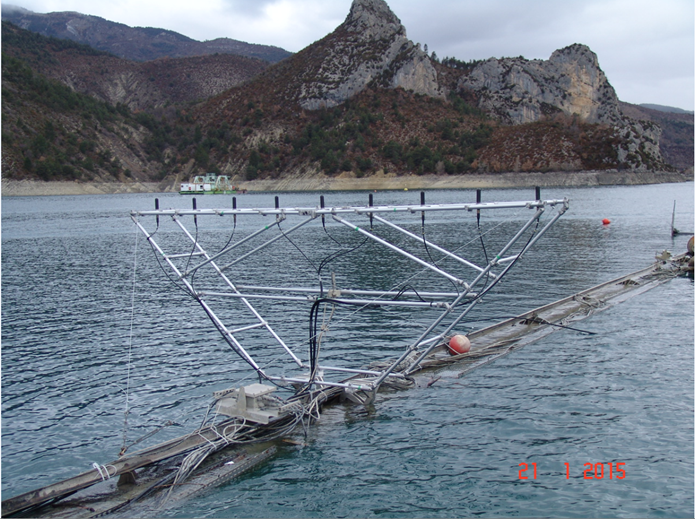 Among the various impacts of human activity, the issue of underwater noise is a criterion that is becoming increasingly important, leading to the first standards. MicrodB has developed identification techniques for vessel pass by noise following work on the Rapid Armada project.